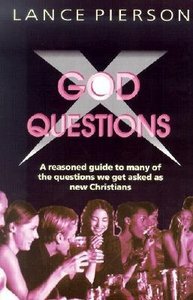 A reasoned guide to many questions we get asked as new Christians. - Publisher Unafraid to tackle the most difficult questions Lance Pierson dives head first into the challenges of ones like Why is the world such a mess? and Why does religion cause wars and division? This books set out to walk a fine line between simplifying the relevance of the gospel in the modern world and becoming and introduction to theological jargon. Each section ends with a so what discussion that is ideal for small group use. Unafraid to tackle the most difficult questions Lance Pierson dives head first into the challenges of ones like Why is the world such a mess? and Why does religion cause wars and division? This books set out to walk a fine line between simplifying the relevance of the gospel in the modern world and becoming and introduction to theological jargon. Each section ends with a so what discussion that is ideal for small group use. Pierson is an entertainer, educator and Bible performer.